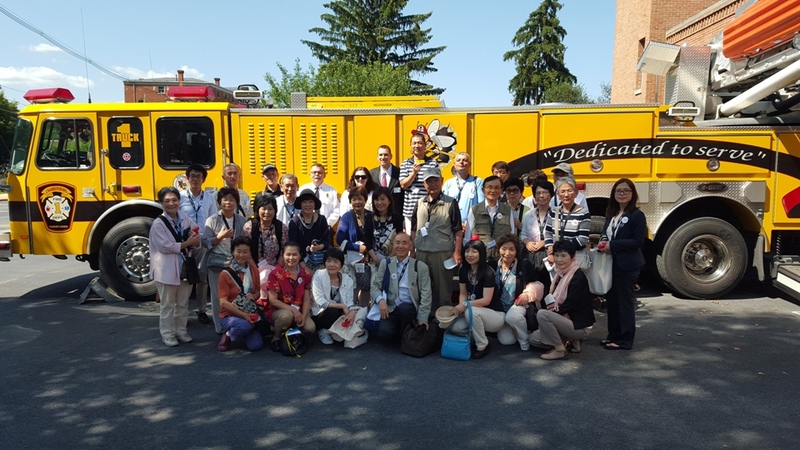 Twenty-nine residents from our Sister City, Gotemba, Japan, explore Chambersburg during a stay that marks the 55th anniversary of visits between Sister Cities. 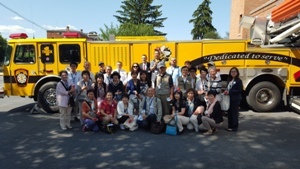 Mayor Darren Brown guided the Japanese delegation through the old jail on East King Street with a stop off at Headquarters’ Station. Chief Leonhard, Asst. Chief Ulrich, and the on-duty crew gave a presentation of apparatus, a tour of the station, and a question and answer session.